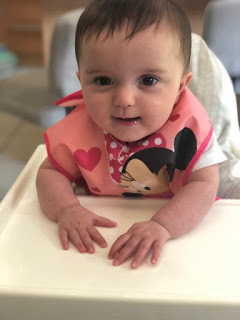 If you've been reading my other blog Mini Moo Life you might have read that I started weaning my little girl at the beginning of this month. I’ve been making my own vegetable purees, and then introduced protein, and am about to start making some proper meals for her. I’ve also tried out a few ready made packets and jars, as these are often more convenient when out and about – for instance we are about to go to my parents’ for the weekend and I don’t want to take a frozen puree for day two as it will defrost in the car on day one which I don’t think is a good idea. Also, there are times when you don’t have time to cook up a new batch of meals or are not sure about trying out new ingredients and don’t want to buy a whole pack of something you are not going to use (particularly if like me and my husband you are fussy eaters but want your baby to try all sorts of things). I was sent two packs of Babyled Spreads to review, including six jars in total. These are little 34g jars which look pretty small but for my six month old did two meals, and a little does go a long way as you can incorporate them into other recipes or meals. The consistency is a thick paste, thicker than a lot of the jars of baby food I’d tried from other brands. I’ve was using the traditional weaning method rather than baby-led for the first couple of weeks then moving to a combination of the two. So I fed my daughter a couple of mouthfuls of the spread to see what she thought of the flavour, and also mixed them with other things. You can also use them as a sandwich filling, a dip, to mix with pasta or as a pizza topping, and many more besides. It’s a good way for your baby to explore different flavours, as in my relatively limited experience of baby food so far, these have more unusual flavour combinations than other brands. We tried ricotta and bean; avocado, red pepper and tomato; carrot apple and hummus, and were also sent to try green pea rocket and dill; red lentil and sweet potato, and spicy pumpkin and chickpea, though the latter is only suitable for 12 months and older (the others are all for 6 months+) so we will have to wait a little while for that one. I mixed the ricotta and bean flavour together with some cooked flaked cod, and mixed the avocado, red pepper and tomato with baby rice. The carrot, apple and hummus would go well as a dip with breadsticks and as my daughter starts to get a bit more confident at putting things in her mouth I’m going to try the spreads on toast. You can buy Babyled Spreads direct from their website; a pack of nine jars costs £6.50 with free postage, making each jar 72p each – or 18 jars for £12 making them 67p each, so roughly on a par with other ready made baby food and though these jars are smaller than others, they go a long way as they wouldn’t usually be served as a meal in themselves. The company even donates money from the sale of every pot to Bliss, the charity for babies born premature or sick. Even though I haven’t been following the baby-led weaning approach I do want my daughter to learn to feed herself and experiment with pieces of food and I think having these spreads would help liven up things like breadsticks and toast. In the meantime I’ll continue using them mixed in with pasta or protein to create a tasty sauce to introduce my daughter to new flavours and textures. 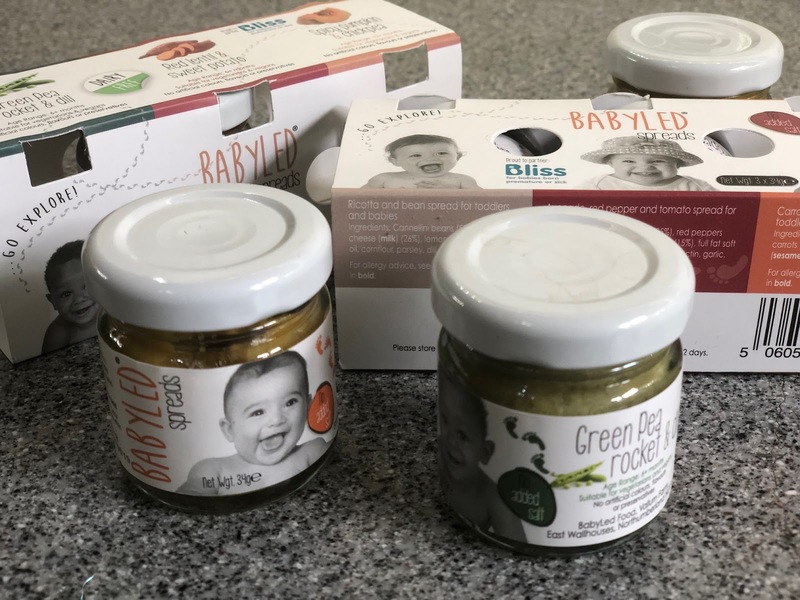 Thanks to Babyled Spreads for the product to review.